Subtle architectural touches are The Row's forte as attested by these Gala Twist mules. 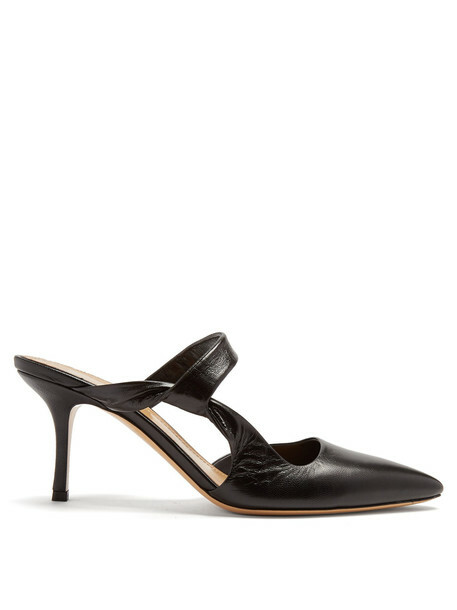 They're Italian-crafted from lamb leather with a high stiletto heel closed-toe front and slim straps which weave to hug the arch and side of the foot. Wear them as the sculptural lift with a languid silk-satin slip.